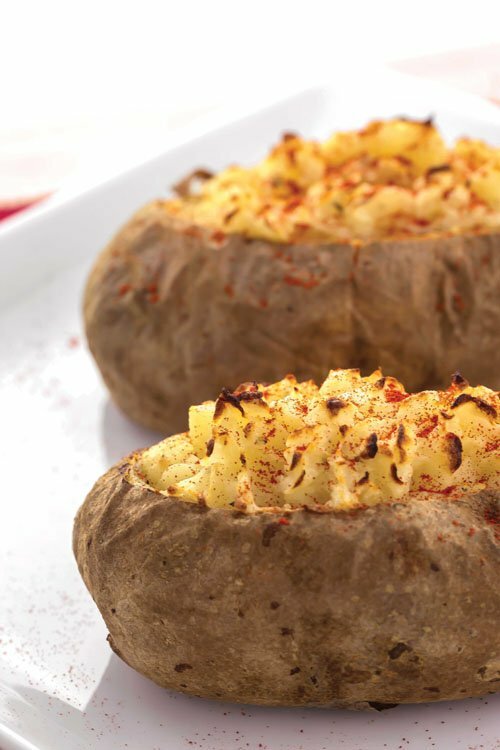 The good old baked potato is a staple side dish in American cuisine, and when it’s done properly, it can be outstanding. 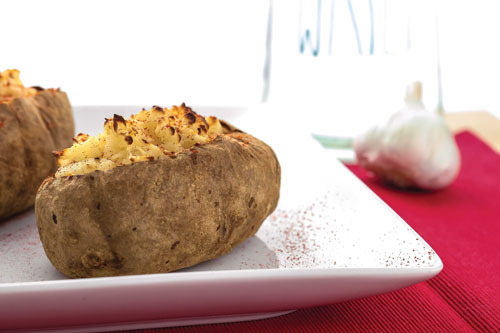 This quick-and-easy recipe is from my cookbook, The Shredded Chef, and it’s a delicious twist on the plain Jane baked potato. I particularly like it because you get a lot of taste from a rather modest macronutritional profile. 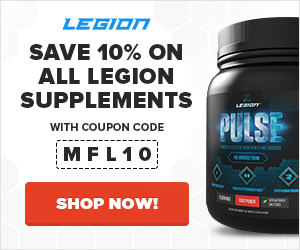 (I prefer to go high-carb on my cheat meals as opposed to high-fat. If you’d like to know why, read my article on carbohydrates and weight loss). This recipe makes 6 baked potatoes, which is perfect for cooking larger batches of food that you can refrigerate the leftovers of, and enjoy several times throughout the week. Place the potatoes on a baking sheet and bake at 400°F for 45-55 minutes, or until tender. Meanwhile, remove the outer papery skin from garlic, drizzle with oil and wrap in 2 sheets of heavy-duty foil. Add the garlic to the oven for 30-35 minutes or until softened. Let garlic and potatoes cool for about 10 minutes. Once cool enough to handle, cut a thin slice off the top of each potato and discard. Scoop out the pulp until just a thin shell remains, place the pulp in a large mixing bowl, add the softened butter and mash. Cut the top off of the garlic head, leaving the root intact, and squeeze the softened garlic into the bowl with the potatoes, add the milk, buttermilk, rosemary, salt, and pepper and mix well. Spoon the potato mixture back into the shells and place back on the baking sheet. Bake at 425°F for 20-25 minutes, or until heated through. Remove from oven and add a dash of paprika to each top.